We can already hear the cries of “Oh no, it’s another Liberty Walk supercar!” from the Internet’s most seasoned keyboard warriors. 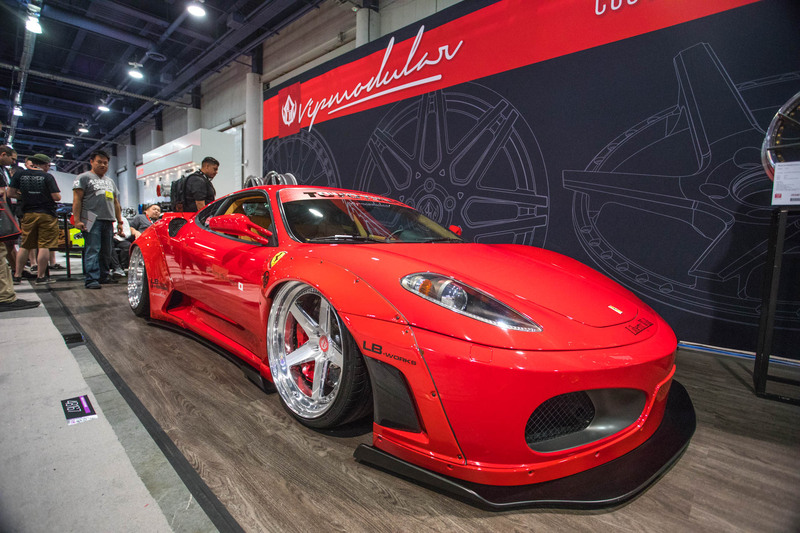 But let’s all take just a minute to pause and appreciate what we’re looking at right here: a Ferrari F430, one of the world’s most recognized supercars, chopped and tuned in a way that nobody from Maranello would’ve ever imagined back in 2004. That, my friends, is all kinds of awesome, and anyone who thinks otherwise is, well, just plain wrong. 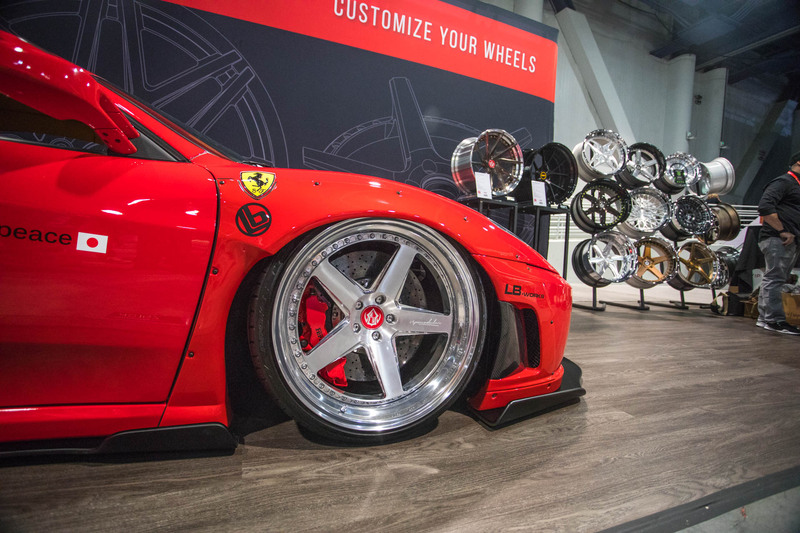 Unveiled at SEMA in November of 2016, this wide-arch creation comes courtesy of LA-based LT Motorwerks, Liberty Walk’s US division. Long Tran and the team are no strangers to cutting up Italian exotica, having already tackled a 458 Italia, a Murcielago and an Aventador in previous years. So, the F430 should have been a piece of cake, right? Theoretically, yes, but when you take into account that the car turned up to the shop less than three days before it was needed to be shipped to Las Vegas, you can begin to appreciate the serious amount of work that happens. Work doesn’t really stop around SEMA… it just gets a bit darker overnight. Dialing in the Air Lift Performance products was up to Sadistic Ironwerks, who, just like LTMW, are no strangers to cutting up $200,000+ vehicles. They fabricated completely custom struts in order to provide the F430 with ground-hugging lows, all controlled with our latest 3H height & pressure management system. This isn’t just some show pony – it’s a full Thoroughbred, capable of tearing up the street! 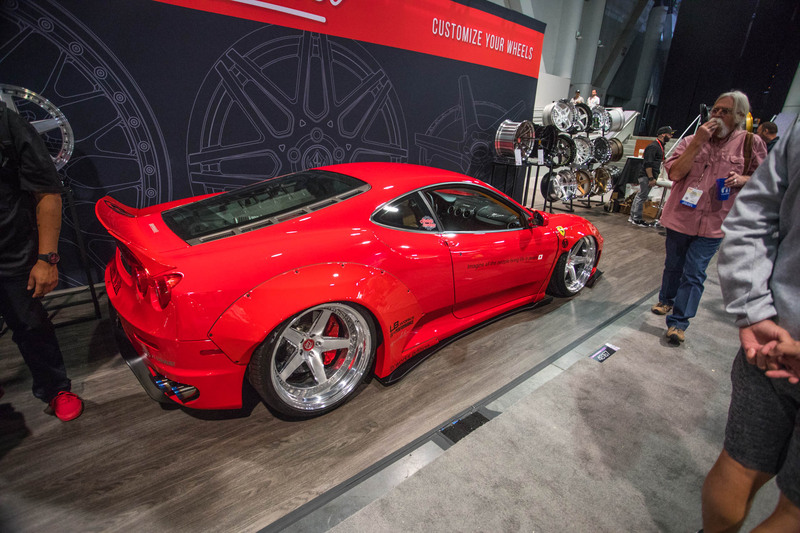 VIP Modular FXS550 3-piece wheels fill those infamous flares, while a tubular Fi Exhaust allows the Ferrari V8 to scream all the way to 8500rpm! 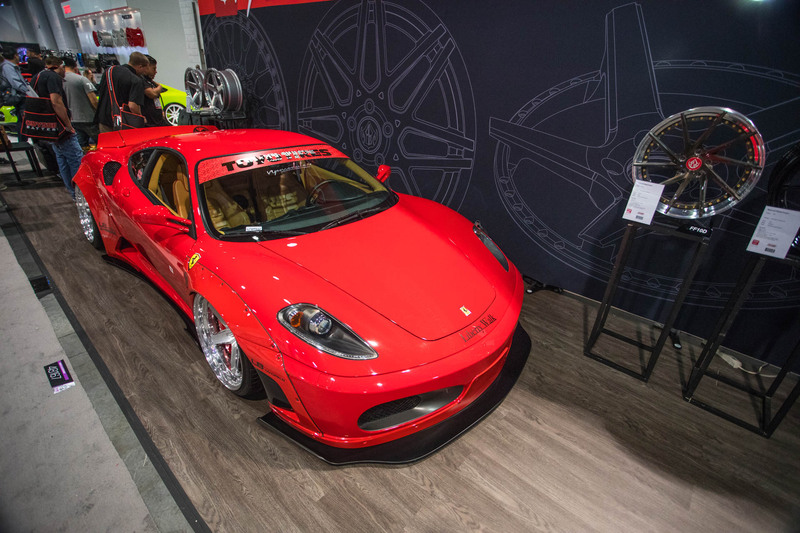 We’re not sure what’s louder, the Rosso Corsa exterior or the exhaust system, but both are on another level! 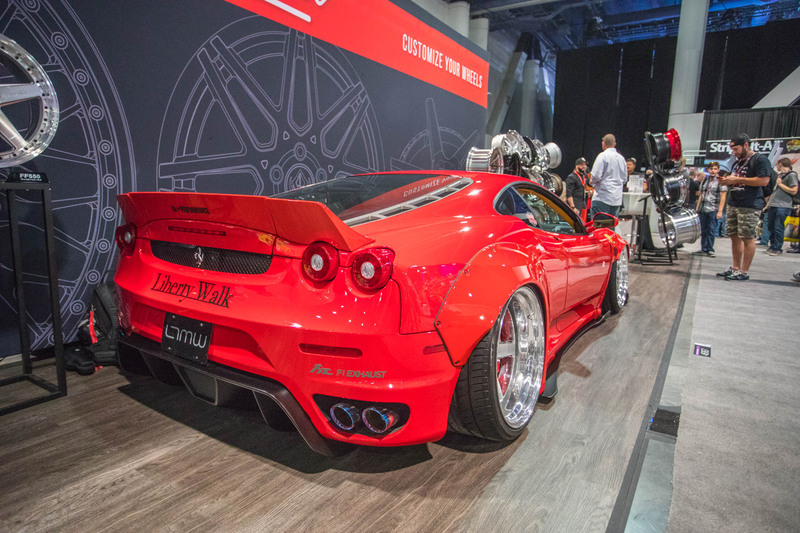 To some people, the Liberty Walk movement might seem played, but not us! When we see one of these in person, it’s nothing short of jaw-dropping, no matter how many of them we have seen before. No car is safe, no matter how expensive or rare! We cannot wait to see what the team in Japan comes up with next!